THE need for Australian Wool Innovation’s proposed online WoolQ Market trading platform has been questioned just weeks before its launch. WoolProducers Australia president Ed Storey has questioned the need for the development of WoolQ Market when the privately-owned AuctionsPlus was already providing an online wool marketing service. 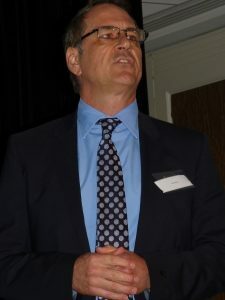 AuctionsPlus chief executive officer Angus Street also today refuted a suggestion that WoolQ creator Australian Wool Innovation was unaware the online livestock and wool marketing company intended to upgrade its wool trading systems. AWI’s WoolQ online platform will deliver its wool trading tool – WoolQ Market — next month, ready to go into battle against AuctionsPlus Wool for the online marketing of wool clips next year. WoolQ sponsor Will Wilson told AWI’s annual general meeting in Sydney last Friday that it was hoped WoolQ Market would go live in February next year. The WoolQ Market platform will include a bulletin board offering wool on a 24-hour/7-day a week basis and an online auction option. 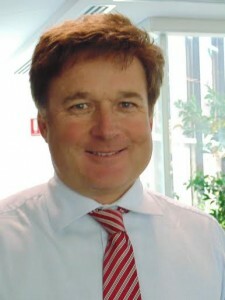 Mr Wilson also indicated WoolQ Market was prepared to go head-to-head with Australia’s only regular online wool trading service AuctionsPlus Wool, despite Mr Storey’s concern this meant the levy and taxpayer-funded AWI via WoolQ would be competing with a privately-owned and funded platform. Mr Storey was on Wool Exchange Portal working group and said he was on record as a supporter of many of the aspects of WoolQ. But at the AWI AGM he said he was concerned about whether the development of WoolQ’s trading tool was addressing a market failure, when there had been significant recent investment by AuctionsPlus in their online wool trading platform. “Is it (WoolQ Market) not crowding out an existing amount of private investment that is already there in the AuctionsPlus Wool trading platform and crowding out, with a levy-funded research, development and marketing company?” Mr Storey asked. After the meeting, Mr Storey said he was always under the impression that WoolQ would be a facilitator of innovation, and if there was a viable online wool trading platform, AWI would not necessarily have to build one. “At this stage I remain unconvinced that this (WoolQ Market) is needed, because we have currently viable trading platforms in Wooltrade and AuctionsPlus Wool. “I’m very concerned about the message that is being sent – there seems to be a speeding up of our own trading platform with the very definite intention of crowding out private investment,” he said. “I don’t think we are at the point yet where there is no viable alternative. “I still continue to question this investment into the WoolQ trading platform,” he said. Mr Wilson told the AWI AGM, AWI did approach AuctionsPlus before it commenced the trading platform project. “And we said to them, rather than go WoolQ Market alone, we would like to work with them to develop their Wooltrade platform. “We were given the message from Anna Speer that they had no intentions to improve their Wooltrade platform in the near future – this was when we met with her in October last year,” he said. “I do note, you’re right, that since then they’ve decided to upgrade their platform and by upgrading, they are moving their Wooltrade platform onto their existing live cattle platform, so it is really just a transition. “It is frustrating because as I said, we would have liked to work with them, but they did rebuff us at that stage,” Mr Wilson said. However, AuctionsPlus chief executive officer Angus Street today gave Sheep Central a different version of the meetings between AWI’s WoolQ and AuctionsPlus. “It was probably not the way that AuctionsPlus remembers the meetings. “We were approached in the middle of 2017 and AuctionsPlus presented to the whole WoolQ steering committee and offered to run a pilot sale free of charge with AWI – a web-based interface with the auction sales,” he said. “We offered to work with AWI to upgrade Wooltrade and they were acutely aware that AuctionsPlus was investing in Wooltrade and evolving it and upgrading the technology. Mr Street said he was told that AWI would be tendering out the WoolQ Market project, but AuctionsPlus was not sent tender documents. Mr Street said AuctionsPlus wool trading system was delivering an online marketing service to industry before it was decided to upgrade its software. The new AuctionsPlus Wool is currently being tested. “It’s a buy-now listings board that is open 24 hours a day seven days a week – that’s phase one. Mr Wilson said as promised to wool growers, if AWI was to complete the WoolQ project by the end of Q4 2018, it needed to start the trading platform. “We’ve continued to engage with AuctionsPlus and notwithstanding that they will have an alternative product, our Ready Reckoner system will in fact direct wool growers – once they’ve got all their data in one place — as to which platform they might receive the optimum price for their wool. “I hear what you are saying and some people talk about duplication and I understand that, but other might see that as competition for trading services and I think the only beneficiary will hopefully be wool growers,” he said. Mr Wilson said WoolQ was the primary recommendation of AWI’s Wool Seeling Systems Review and he urged wool growers to register on the platform. Its tools and functions include an electronic or e speci, a marketing cost Ready Reckoner, an industry directory, company profile function, a wool growers’ network forum and the new online wool marketing options. He said more than 1500 wool growers had registered their interest in the tool, and 526 Australian businesses had created profiles, and 71 percent of those were growers. There have been 41 e Specis completed since its launch earlier this year, representing 4324 bales of wool, “and they are increasing as the days go by,” he said. “There has been one delivered by AWEX since we’ve delivered and I believe AWH are about to launch one themselves. To overcome connectivity issues, WoolQ has developed an app for smartphones and tablets, for clip information to be stored until it can be uploaded with the e speci. The majority of people using WoolQ are doing so via desktop computers, but mobile and tablet usage is increasing, he said. Those who claim to be wool grower leaders will need to get out of bed a lot earlier if they think they can outsmart Wal Merriman. Fancy asking questions now about the wool portal. Wal had the job sown up a long time ago. Where were the industry leaders before AWI spent $9 million of growers hard-earnt money when there was absolutely no evidence, right at the start, of market failure? Don’t take my word for it. Graeme Samuel, one of the panel members and Australia’s anti-competition guru, made that point at the first meeting when the panel reported their findings and no-one listened. Well done Ed Storey to question AWI’s WoolQ. Remember the savings from WoolQ are estimated to be only 1 percent of wool selling costs from wool store to mill. Why not concentrate on the big cost issues like wool harvesting, which accounts for 72pc of direct costs to growers from sheep’s back to mill? Why is AWI competing with AuctionsPlus, AWEX and AWH anyway?